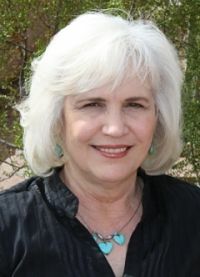 Born in Grand Prairie, Texas, Nancy Turner grew up, for the most part, in Southern California and Arizona. She completed a Bachelor's degree in Fine Arts Studies with a triple major in creative writing, music, and ceramics at the University of Arizona in December 1999. She also has an Associate's degree from Pima Community College. She started taking one or two classes a year while her children were little. She lives in the foothills of the Tucson Mountains overlooking the city of Tucson. The year is 1729, and Resolute Talbot and her siblings are captured by pirates, taken from their family in Jamaica, and brought to the New World. Resolute and her sister are sold into slavery in colonial New England and taught the trade of spinning and weaving. When Resolute finds herself alone in Lexington, Massachusetts, she struggles to find her way in a society that is quick to judge a young woman without a family. As the seeds of rebellion against England grow, Resolute is torn between following the rules and breaking free. Resolute's talent at the loom places her at the center of an incredible web of secrecy that helped drive the American Revolution. Heart-wrenching, brilliantly written, and packed to the brim with adventure, My Name is Resolute is destined to be an instant classic. From the bestselling author of "These Is My Words "comes this exhilarating follow-up to the beloved "Sarah's Quilt"." "In the latest diary entries of pioneer woman Sarah Agnes Prine, Nancy E. Turner continues Sarah's extraordinary story as she struggles to make a home in the Arizona Territory. It is winter 1906, and nearing bankruptcy after surviving drought, storms, and the rustling of her cattle, Sarah remains a stalwart pillar to her extended family. Then a stagecoach accident puts in her path three strangers who will change her life. In sickness and in health, neighbor Udell Hanna remains a trusted friend, pressing for Sarah to marry. When he reveals a plan to grant Sarah her dearest wish, she is overwhelmed with passion and excitement. She soon discovers, however, that there is more to a formal education than she bargained for. Behind the scenes, Sarah's old friend Maldonado has struck a deal with the very men who will become linchpins of the Mexican Revolution. Maldonado plots to coerce Sarah into partnership, but when she refuses, he devises a murderous plan to gain her land for building a railroad straight to Mexico. When Sarah's son Charlie unexpectedly returns from town with a new bride, the plot turns into an all-out range war between the two families. Finally putting an end to Udell's constant kindnesses, Sarah describes herself as "an iron-boned woman." She wants more than to be merely a comfortable fill-in for his dead wife. It is only through a chance encounter that she discovers his true feelings, and only then can she believe that a selfless love has at last reached out to her. . . In "These Is My Words," Sarah Agnes Prine told the spellbinding story of an extraordinary pioneer woman and her struggle to make a home in the Arizona Territories. Now, in this mesmerizing sequel, a three-year drought has made Sarah desperate for water. And just when it seems that life couldn't get worse, she learns that her brother and his family are trapped in the Great San Francisco Earthquake. A heartwarming blend of stubbornness and compassion, Sarah Agnes Prine will once again capture the hearts of readers everywhere. A moving, exciting, and heartfelt American saga inspired by the author's own family memoirs, these words belong to Sarah Prine, a woman of spirit and fire who forges a full and remarkable existence in a harsh, unfamiliar frontier. Scrupulously recording her steps down the path Providence has set her upon--from child to determined young adult to loving mother--she shares the turbulent events, both joyous and tragic, that molded her, and recalls the enduring love with cavalry officer Captain Jack Elliot that gave her strength and purpose. From the novel's harrowing opening scene, Frosty's eyes survey the landscape around her -- white rural America -- with the awestruck clarity of an innocent burned by sin. In her mother and sisters she sees fear and small-mindedness; in the eyes of local boys she sees racial hatred and hunger for war. When that war finally comes, it offers her a chance for escape -to California, and the caring arms of Gordon Benally a Native-American soldier. But when she returns to Texas she must face the rejection of a town still gripped by suspicion -- and confront the memory of the crime that has marked her soul since adolescence. Propelled by the quiet power of one woman's voice, The Water and the Blood is a moving and unforgettable portrait of an America of haunted women and dangerous fools -- an America at once long perished and with us still.